It's truly amazing and inspiring what this family of bakers can do! The family behind The Make Peace Bakery is changing people's lives, one freshly baked pastry, at a time. Who would have thought that a simple oven, a portable La Germania tabletop oven, can do so much. One particular oven has traveled around cities, changing the lives of underprivileged and out-of-school youth, with freshly-baked pastries. 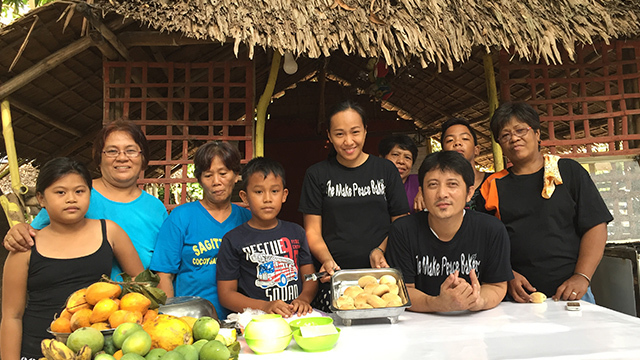 Angelene Mariano-Calungcaguin and her husband Yok Calungcaguin, are the culinary masterminds behind the delicious passion project called The Make Peace Cookies. 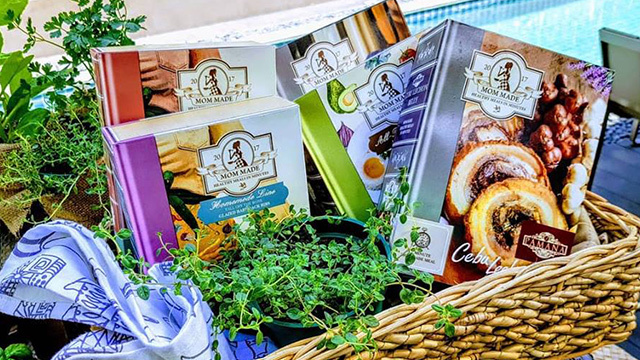 When they aren’t preoccupied with their catering services called Cuizina, they spend their weekends baking cookies and selling them to their friends, families, and at weekend food bazaars. Angelene has always been passionate about baking. When she was in high school, she would sell chocolate-dipped polvoron. She took up culinary school right after college but was hired as a restaurant's dishwasher. There was simply nothing that could stop this fierce go-getter from achieving her goals, and she eventually landed an assistant-to-the-chef position in a fine dining restaurant and then was hired as a liaison officer of Via Mare. Despite her impressive culinary credentials, she is now currently taking up cake decorating classes to further improve her skills. As much as she admittedly loves baking, she says she is equally passionate about helping other people, too. It was then that the couple decided to marry their two passions in life: baking and helping communities. 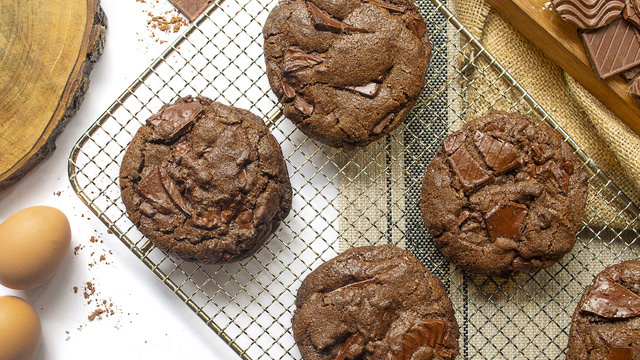 They turned The Make Peace Cookies—which had a good run from 2013 to 2016—into a social enterprise, which they now call The Make Peace Bakery. With the help of GK Enchanted Farm-Bulacan, they built a bakery that aims to give the underprivileged and out of school youth a means of having a sustainable livelihood by learning the basics of baking. 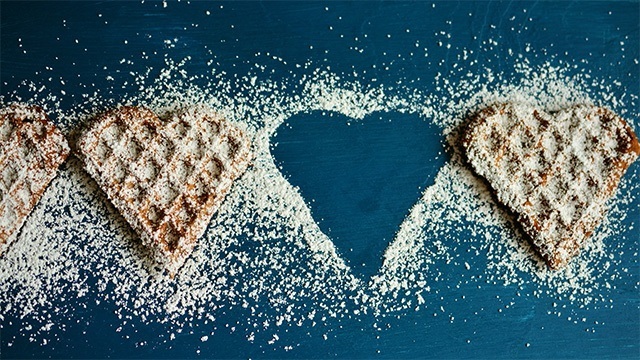 Even though the love for baking didn’t come as naturally to Yok (as compared to Angelene), the couple made sure to make every family weekend a fun family affair. They talked to different communities from GK Silver Heights-Caloocan, Mindoro, Payatas, and Rizal—all while immersing Pio, their 5-year-old son, in what would eventually become their weekend "workation" (work and vacation). The family would fit all the different baking essentials and their trusty portable white La Germania oven, with a Make Peace Bakery sticker plastered on it, inside their family van. 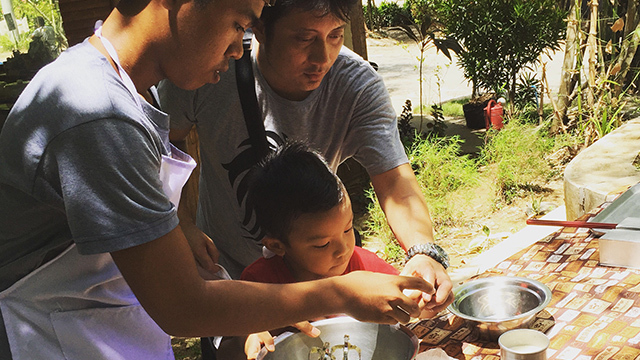 Eventually, Yok fell in love with baking, as did their son, who also enjoys being in the company of the kids in the various communities they visited. 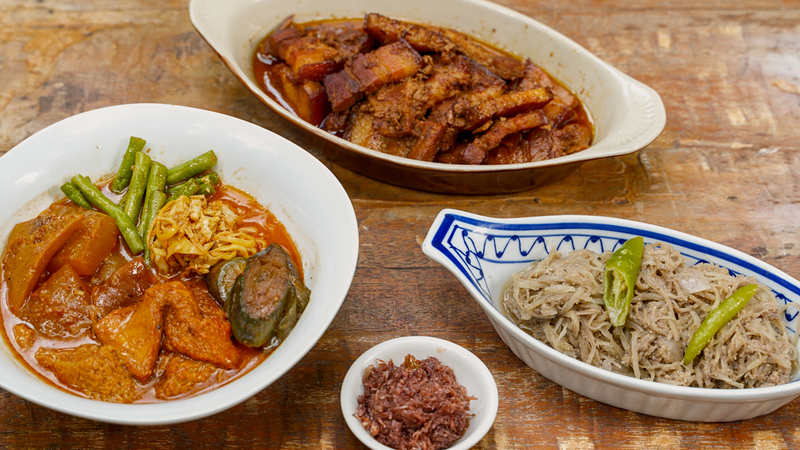 Angelene would demonstrate an assortment of recipes that she and Yok developed and learned throughout their ongoing culinary journey. 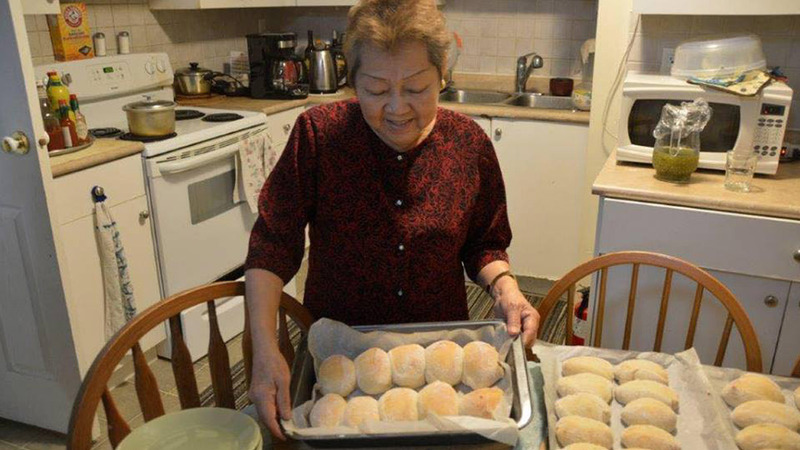 Despite the general intimidating aspect of baking for the first time, the couple eased these communities into learning the basics of baking through easy recipes. They taught communities how to make banana cake, dark cacao cake, and an assortment of cupcakes with a cake mix they formulated for The Make Peace Bakery. Their basic cookie dough mixture was also used as a base to make calamansi coco sugar cookies, cacao cookies, ube halaya cookies, classic choco chip cookies, and even brownies. When the communities were ready for more advanced lessons, they eventually taught baking skills that required making bread from scratch. They standardized a flour mix that can produce one dough but can yield 12 kinds of bread. From a simple and classic pan de sal, Angelene and Yok have also taught the community how to bake pan de coco, basil pan de sal (Make Peace Bakery’s take on the famous malunggay pan de sal), carrot dinner rolls, cinnamon rolls, pan de yema (Make Peace Bakery’s bestseller), pan au chocolat (a much-requested pastry by the French interns of GK Enchanted Farm), and pan de raw-co (Make Peace Bakery’s version of pan de coco that uses raw coconut sugar). Angelene shares that privilege and feelings of guilt played a huge role in what they are doing today. “Kung talagang, nagi-guilty ka na meron kang community na nakikitang that are not well-off, kailangan matutunan nila ang mga natututunan mo.” (If you’re extremely guilty when you see communities that are not well-off, you have to teach them what you know). It goes without saying that Angelene and Yok never had any qualms about sharing their passion for baking nor sharing their recipes with these communities, as long as it inspired more people. Some people like Aldrin Cullado and Rolando dela Cruz, who underwent Make Peace Bakery’s training, now have better lives. Aldrin is now working for the prestigious St. Luke’s Medical Center at Bonifacio Global City, while Rolando, who started out as a Make Peace Bakery intern, found his calling for food. He was so determined to be a baker and has even flown all the way to Singapore to pursue his dreams. 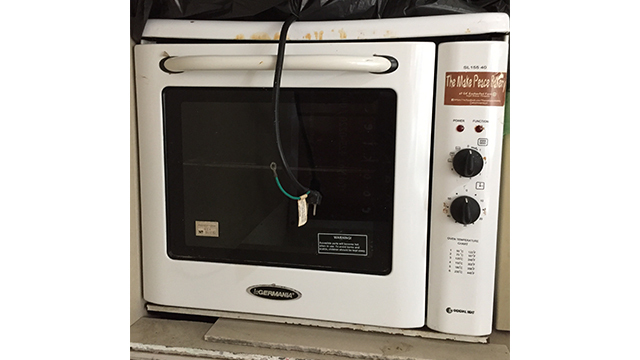 Who would have thought that this family and their portable oven can bring about so much positive change? 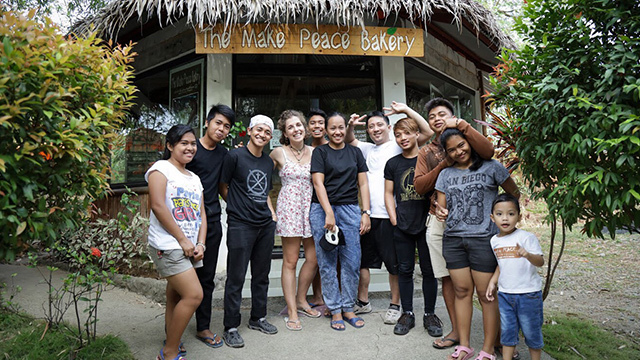 At The Make Peace Bakery, their simple oven doesn't only churn out pastries but also bakes better opportunities for underprivileged communities. Here's a delicious and helpful tip: To support Angelene and Yok with The Make Peace Bakery, the best thing to do is to keep eating their pastries. You can order through The Good Store or Real Food. For more information, visit The Make Peace Bakery’s official website. For inquiries, you can contact Angelene through this email address: [email protected]. 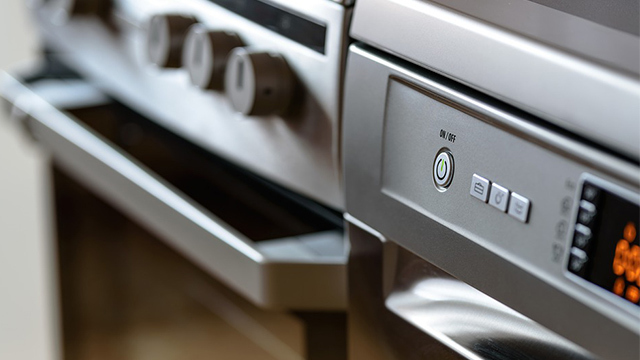 Gas vs. Electric: How Do Ovens Affect My Baking? What's Inside These Cook Books Will Surprise You!